Newly converted townhouse condo. One of two units in this tastefully converted Victorian home consisting of two levels with five plus rooms and large (4345 Sq Ft) fenced private yard. Special features of this unit are that it repurposes the original Barn with a second level Great Room with wide pine floors, exposed beams and vaulted ceiling. Filled with built-in and nooks throughout the unit you’ll appreciate the compliment of new renovations and old charm. Bath has claw foot tub, double sink, and separate shower. Two bedrooms are on the main level and a two-room suite on the third floor offers that perfect flexible space suitable for many uses. Stay out of the snow with your own one car garage with interior access. 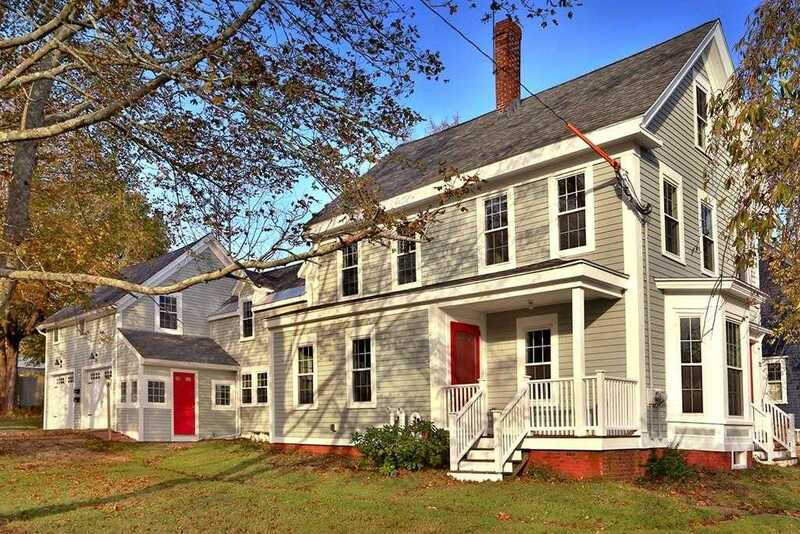 All this located in the Highland section of Amesbury close proximity to the downtown with quaint shops, numerous restaurants, and schools. Conveniently accessible to both highways RT 95/ RT 495 makes for easy commuting. Who’s ready to call this HOME?